What if I told you that there was a method for improving urban schools that, when done well, can close the achievement gap between low-income students of color and their white, wealthier peers? That, when instituted citywide, it can result in the most improved urban district in history? That there are reams of academic research to learn from, dozens of successes to replicate, and clear pitfalls to avoid? If you’re a small group of parents backed by the Washington Education Association, you file a lawsuit to keep it from happening. I’m talking about charter schools, of course, and the latest attempt to prevent Washington’s families from having the choice to send their children to a free public school other than their traditional district school. If you aren’t following along, Washington’s legislature passed a charter school law by voter referendum in 2012 only for it to be ruled unconstitutional last year due to an arcane definition of what’s considered a public school. A new law with a different funding source passed in April. This is a red herring. There’s no doubt that all public schools, charters included, should be funded fully and equitably. But it deflects from the fact that the legislature has already passed the law. Mead’s red herring is also a clever way to avoid saying that eight schools in five cities should close their doors to hundreds of families who sought alternatives to their traditional public schools. 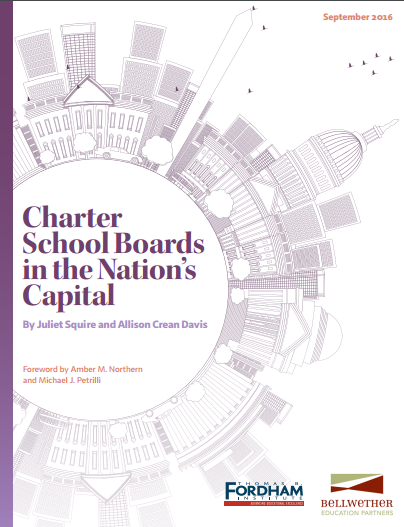 Washington is a latecomer to the charter school movement— 42 other states and DC have charter laws on the books — but because of this, the state’s leaders also have 25 years of lessons at their disposal to build a top notch system. It could be a magnificent opportunity to give options to students stuck in failing schools, if only a small group of adults would get out of the way. This entry was posted in Charter Schools and tagged Kim Mead, Robin Lake, Washington, Washington Education Association on August 11, 2016 by Jason Weeby.